The Jonas Brothers just dropped their new single “Cool” and if you listen closely to the lyrics, you’ll notice that Joe Jonas drops a cool reference. “Oh, I feel like Post Malone when I get home / Sittin’ there, winning like it’s Game of Thrones / And now that we’ve made it, how complicated was last year?” Joe sings in the second verse. 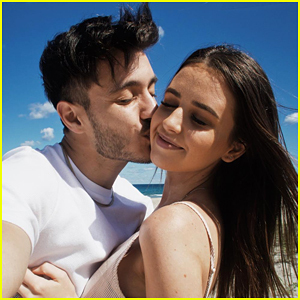 Not that we need to remind you, but Joe is engaged to Game of Thrones actress Sophie Turner! The hit HBO series returns on April 14 and the couple just walked the red carpet at the premiere. The Jonas Brothers are having the best time in their new music video! The Jonas Brothers‘ new single is out now! 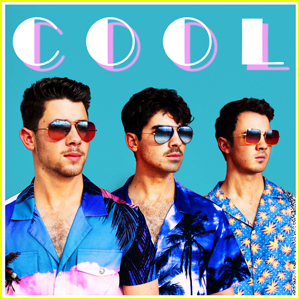 The brothers – Nick, Joe, and Kevin – just dropped “Cool,” which happens to be the second single off of their upcoming album. 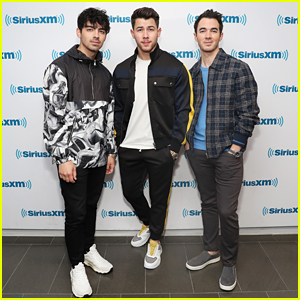 Last month, the Jonas Brothers dropped “Sucker” – the first single they’ve released since 2013. You can download “Cool” off of iTunes here – and stream it below! The Jonas Brothers Announce New Song 'Cool' - Find Out the Release Date! The Jonas Brothers are coming back again! The “Sucker” trio announced that their new song “Cool,” the follow-up to their hit comeback track, will be released on Friday (April 5). “🆒 drops Friday! Pre-save the song at JonasBrothers.com to hear it first 🌴😎,” the band wrote on their Instagram on Tuesday (April 2). The boys were spotted filming a music video in late March in Miami, Fla – and now we know why! Click here to see pictures from the colorful set. 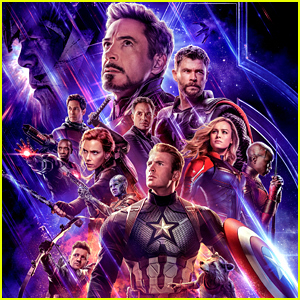 Click here to see the “Cool” cover art! Jonas Brothers Throw Huge Beach Party for Music Video in Miami! The Jonas Brothers are taking over Miami for their new music video! 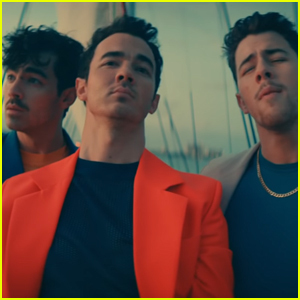 The brothers – Nick, Joe, and Kevin – were spotted filming a music video on the beach on Tuesday (March 26) in Miami Beach, Fla.
Joe sported a gray and white striped suit while Nick rocked a neon-orange bathing suit for their day on set. Kevin was also spotted wearing a captain’s suit while being covered with three colorful parrots for a few shots.